Urban Sketchers Seattle: coffee and crows. A good morning at the Stabucks; full of activity and coffee. So great to see all the Urban Sketchers out and working so hard. A great urban scene with accompanying crows. 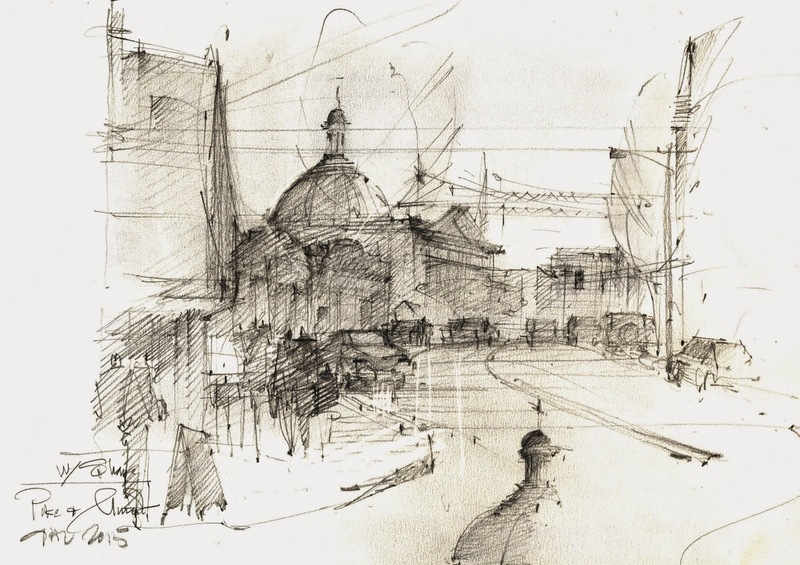 Working in soft pencil and concentrating the urban form into shapes.